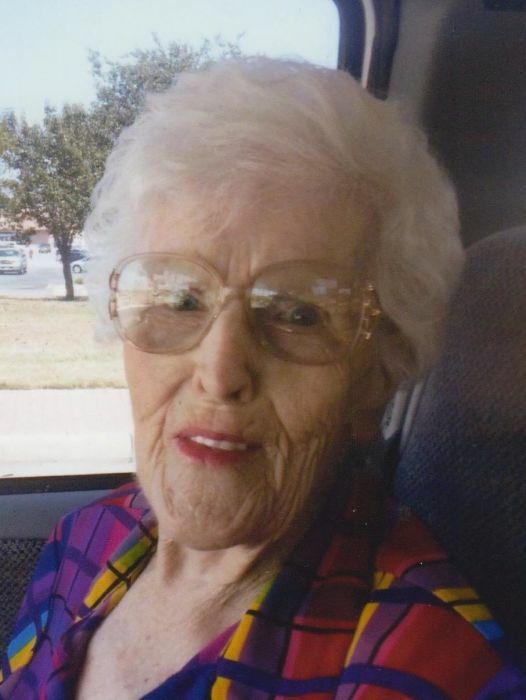 Sylvia Joann Stanford, 83 of Kemp, Texas passed away peacefully on August 22, 2018. She was born on October 19, 1934 in Corsicana, Texas to the home of Decker Edward & Eunice Ruth White Sanders. Joann spent the early part of her childhood in Corsicana, Texas and the later years were spent at Buckner Orphanage in Dallas, Texas where her mother was employed. She often shared these memories and how they touched her life. Joann lived life to the fullest. She was the first female distributor of Lone Star Beer in the Dallas area. After moving from the Dallas area to Cedar Creek Lake she sold real estate and later became the proud owner of her own dress shop “Varieties’ Unlimited” in Kemp, Texas. Joann loved people and was always known for her contagious laughter. In her spare time she enjoyed cooking, listening to Elvis and being with her family and friends. Joann was the most loving grandmother. She cherished her time with the Lord and her beloved family. Joann is survived by her sisters Jean Finch and Sandy Bucannon; uncle Vernon White; grandchildren Pius Ferrell & his wife Spring, Avery Minyard & her husband Nick and Sterling “Peanut” Ferrell; great-grandchildren Lacey Weisinger, Bree Cathy & her husband Justice, Emilee Weisinger, Dylan Culver, Adalynn Ferrell and Aaliyah Minyard; great-great-grandchildren Daisy Culver, Ruslan Carnes and Eeli Cathy, and her church family. She will be dearly missed by all who knew her. Joann is preceded in death by her parents; brother Dewy Sanders; her loving husband Allen Stanford; son Darrel Kilpatrick; daughter Belinda Ferrell; grandson Joseph Ferrell. Bro. Jerry Mullins will officiate for the Stanford family.